The Economic and Financial Crimes Commission (EFCC) has denied any raid on the farm allegedly linked to the suspended Chief Justice of Nigeria (CJN), Justice Walter Onnoghen. 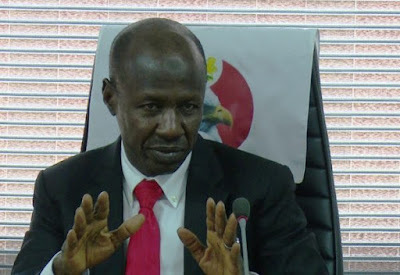 It was reported that 9 security officials, suspected to be EFCC operatives, a cameraman and policemen in a Nissan bus marked Abuja BWR 627AT raided Wanogan Farms located in the Masaka area of Nasarawa State around 3pm and searched the entire premises for over three hours. The EFCC in a telephone conversation with Channels TV, through its spokesperson, Tony Orilade, denied being aware of any search on the property reportedly linked to the suspended CJN. While also denying reports about an invitation from the EFCC to the embattled CJN, the anti-graft agency further described the reports as ‘fake news’.